The following rose care calendar is from the book Growing Roses Organically by Barbara Wilde. These suggestions are for zones 7 and 8. 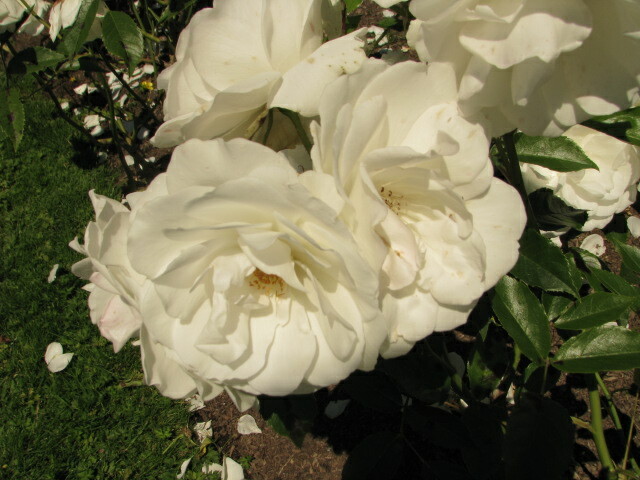 June: Monitor water needs, especially of plants in bloom, gather roses for drying and culinary use, deadhead repeat bloomers promptly, eliminate new rootstock suckers, prune once-flowering roses immediately after bloom, treat for insects and diseases if necessary, train new shoots on climbers horizontally. July: Monitor water needs, check irrigation frequency, continue deadheading repeat bloomers, treat for insects and diseases if necessary. August: Monitor water needs, stop deadheading hip-producing repeat-bloomers so they can form hips for fall, continue deadheading other repeat bloomers, treat for insects and diseases if necessary. Previous Previous post: Easy Does It…One of the best roses!